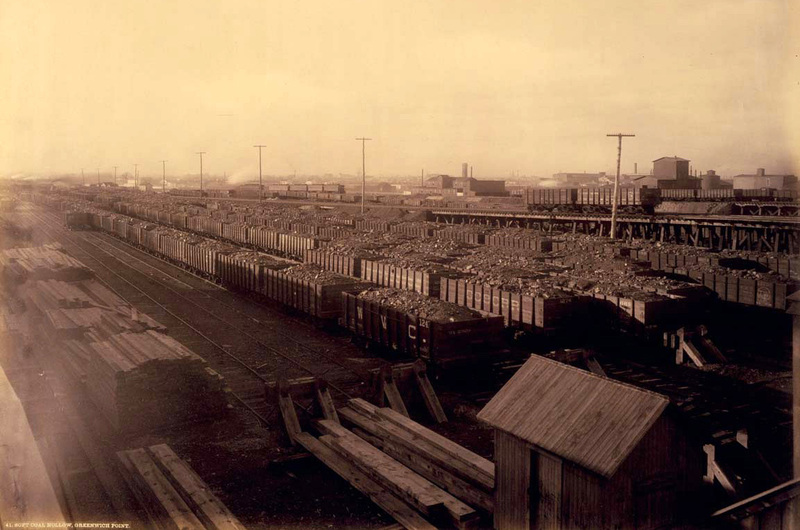 Pennsylvania's abundant natural resources enabled it to become an industrial powerhouse in the 1800s. The state's extractive industries were inextricably interconnected and interdependent upon each other. The Greenwich coal yard in Philadelphia gathered coal for domestic sale and for export to foreign markets.